Last year, Roberts refused an industry request to delay implementation of the lower court's ruling. The U.S. Supreme Court could soon decide whether it will hear a case over a new federal rule that requires home healthcare agencies to pay higher wages to many workers. Industry groups asked the high court to take up the case after a federal appeals court in August upheld the new rule, which requires home healthcare agencies to pay minimum wage and overtime to more workers and compensate them for time they spend traveling between patients. 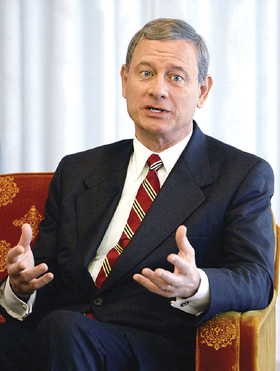 U.S. Chief Justice John Roberts in October refused the industry's request to delay implementation of the lower court's ruling. Since that ruling became effective, many home healthcare agencies say they have had to cut hours and reschedule employees to avoid paying overtime and travel time—expenses they say they can't afford. Karen Kahn, a spokeswoman for the Paraprofessional Healthcare Institute, said that while it might take time for everyone to adjust, the higher wages will ultimately help attract needed workers. The institute, which represents workers, doesn't believe the Supreme Court should hear the case. Industry groups, however, say the justices should consider the matter because of its enormous consequences. William Dombi, a vice president at the National Association for Home Care & Hospice, one of the groups involved in the case, said it will affect 1 million to 2 million workers, their employers, consumers and state Medicaid and other health programs. Twelve states have also filed a brief with the court urging it to hear the case, saying the rule imposes an unfunded liability on them.